Up, down, and around we go! 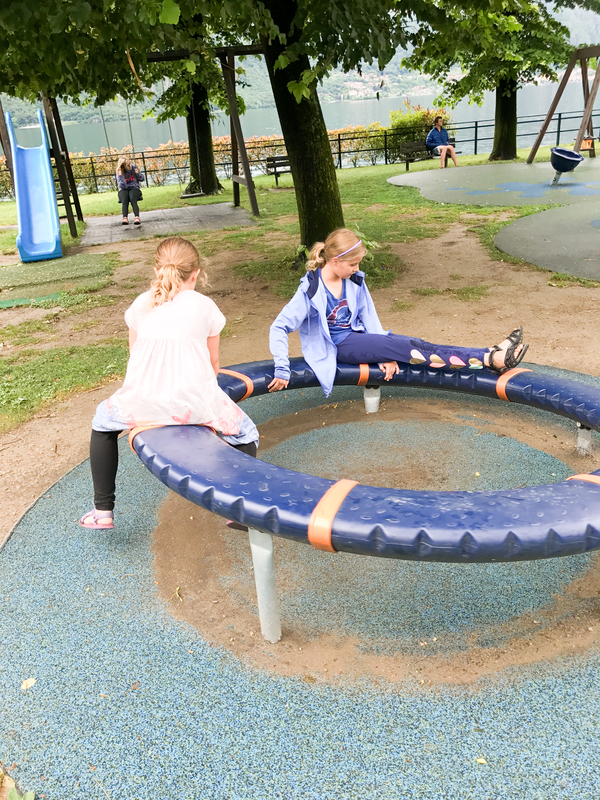 I have been always been amazed at the quality and quantity of the playgrounds in Europe and parks for children. 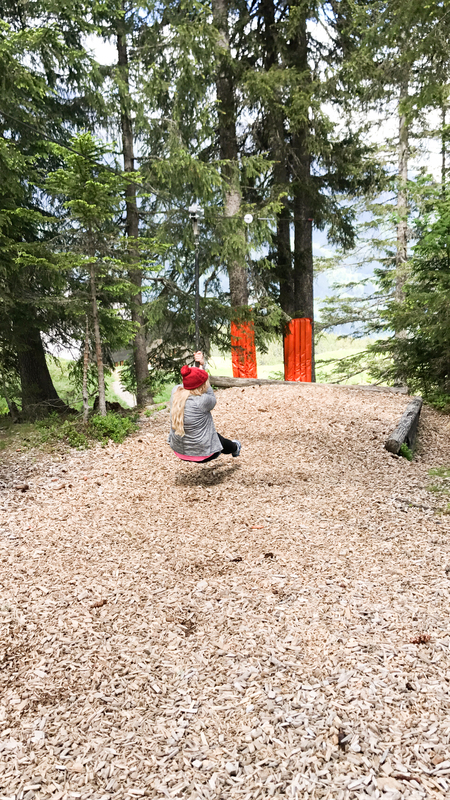 Visiting a children’s playground is not on most people’s agenda when planning out an European holiday. 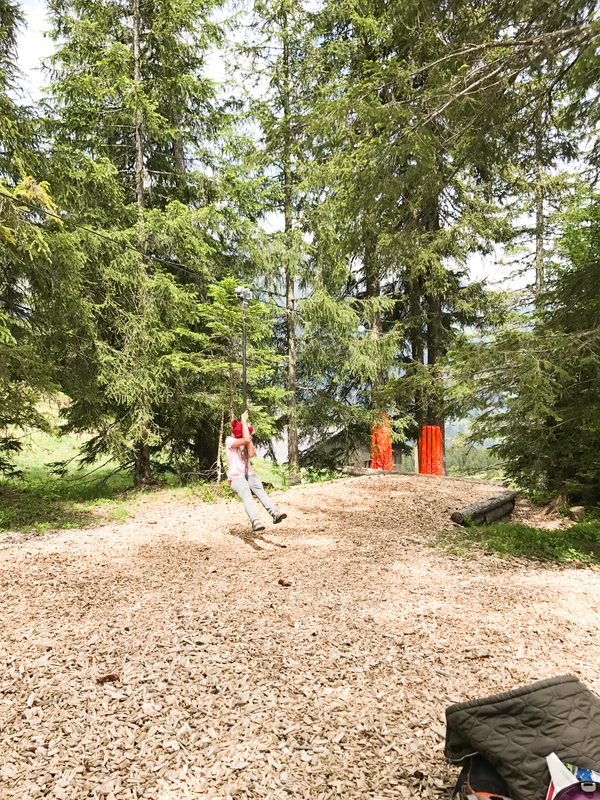 However, we have found the playgrounds in Europe to be a fun cultural experience and a wonderful break for children (and even adults). 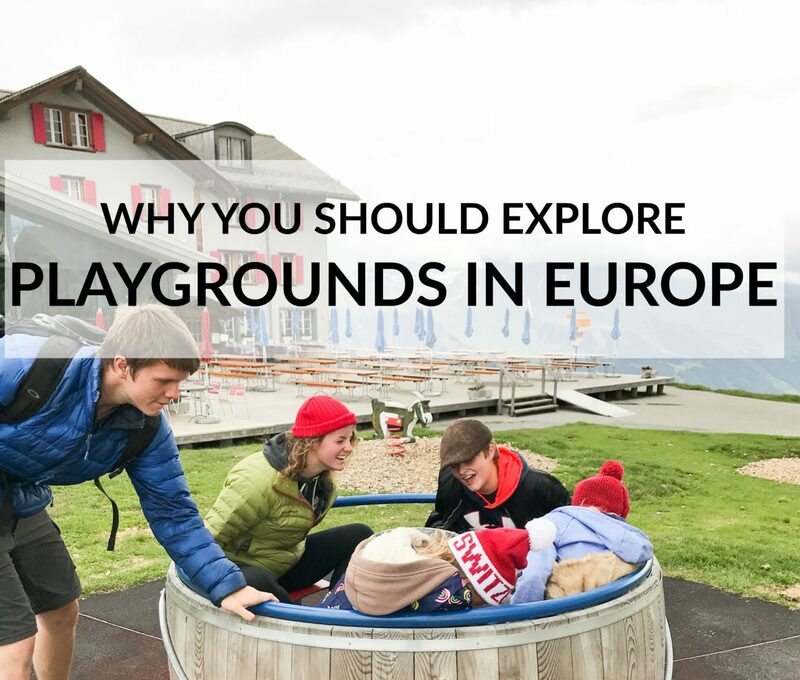 In Europe, as you are walking through the squares and down the streets you will bump into numerous parks, playgrounds, and carousels. And after a full day of visiting museums and cathedrals, the thought of sitting down on a bench for a few minutes doesn’t sound so bad. We enjoy interacting with the locals, the kids get some energy out, and the overall sights and sounds of the night. 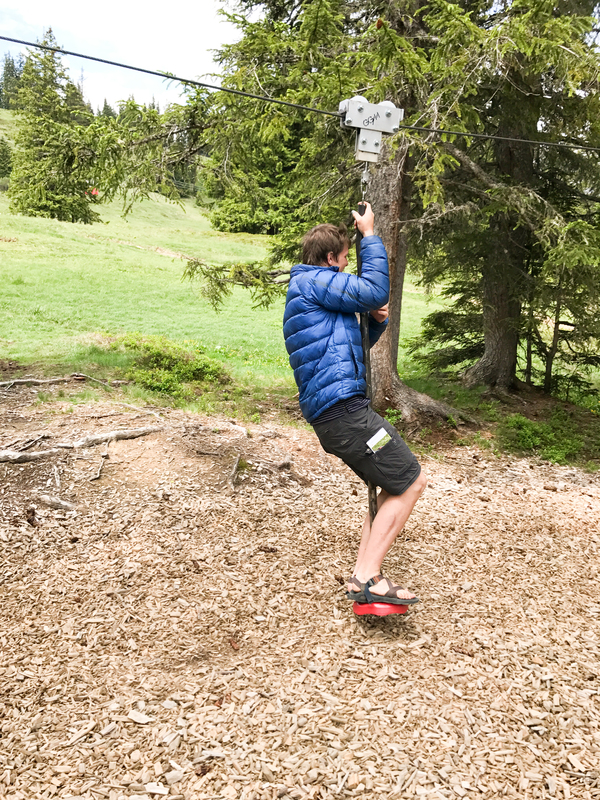 Somewhere in the Swiss Alps, we ended up at a secluded park that happened to have a zipline. 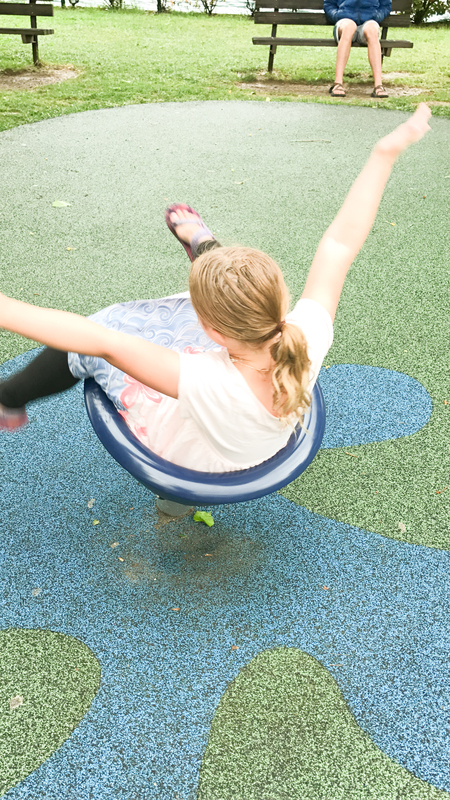 There was no attendant and no waiver to sign– just a chance for a child to run and play and be a child. For various reasons, that would not happen in America. 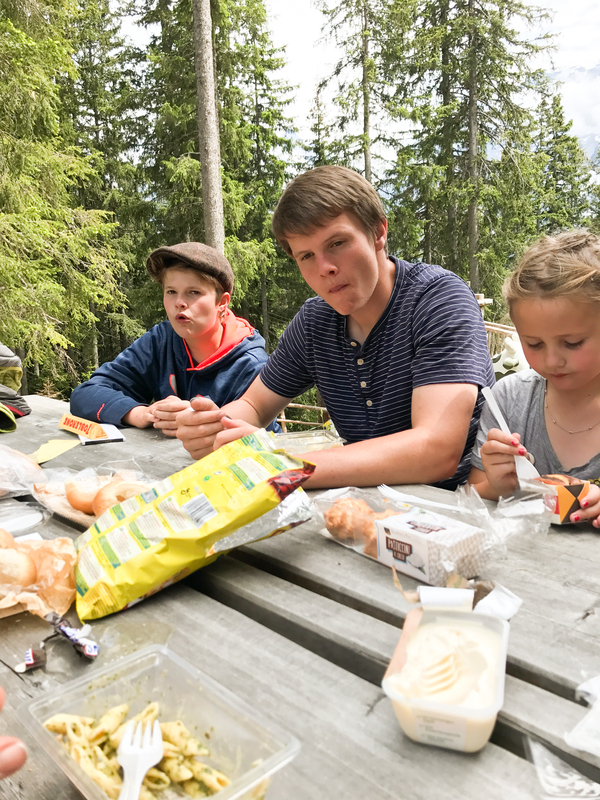 We ate at a nearby picnic table and just enjoyed our food; all while we enjoyed the glorious Alpian view with our kids barreling up and down the zipline. The teenagers and parents also enjoyed it, which is one sure sign a park is a good one. 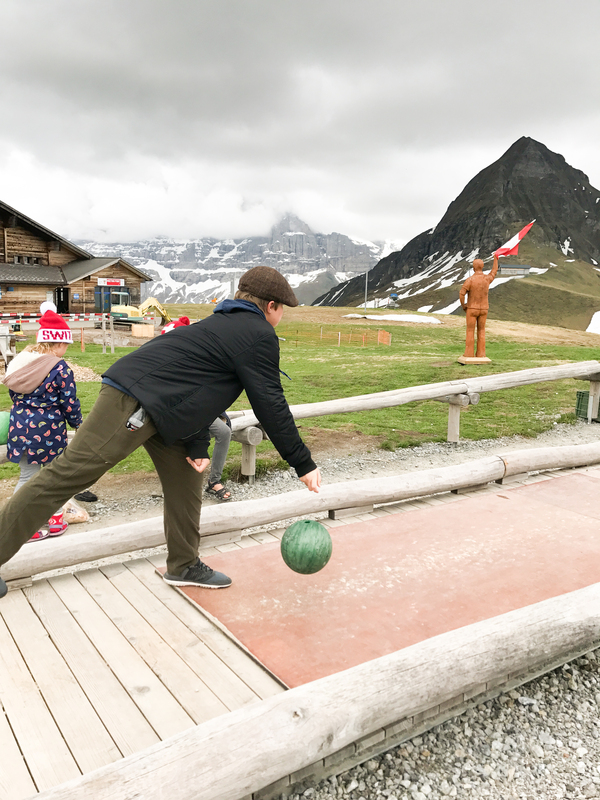 It is not just in Switzerland that they have amazing parks. 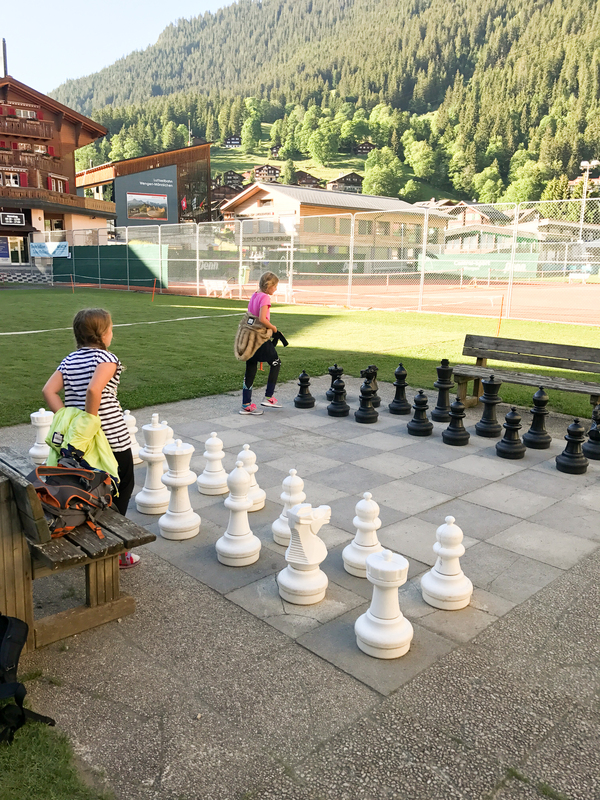 In Italy, a giant life–sized chess game was set up in the square. Our children tried their hand at manipulating the pieces and moving them into position. 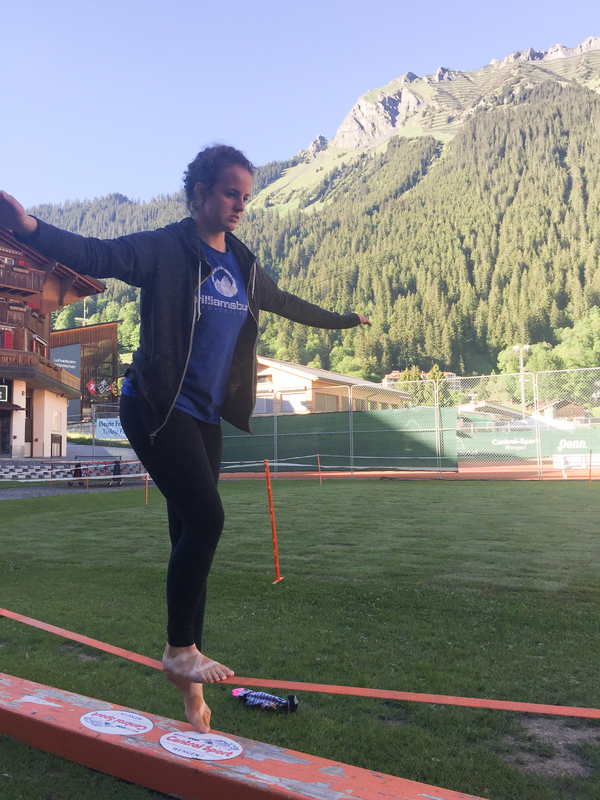 We have played on long slacklines, giant bowling alleys, rode carousels, and slid down wonderful slides. I have been so impressed at the quality and cleanliness of playgrounds in Europe. Culturally, there is something wonderful about watching children play who speak different languages. The language is not a barrier to a young child. Running, jumping, and playing does not require language. Young children simply use body language to communicate with each other while having fun. When it is time to go, the children sadly wave goodbye to their newfound friends. 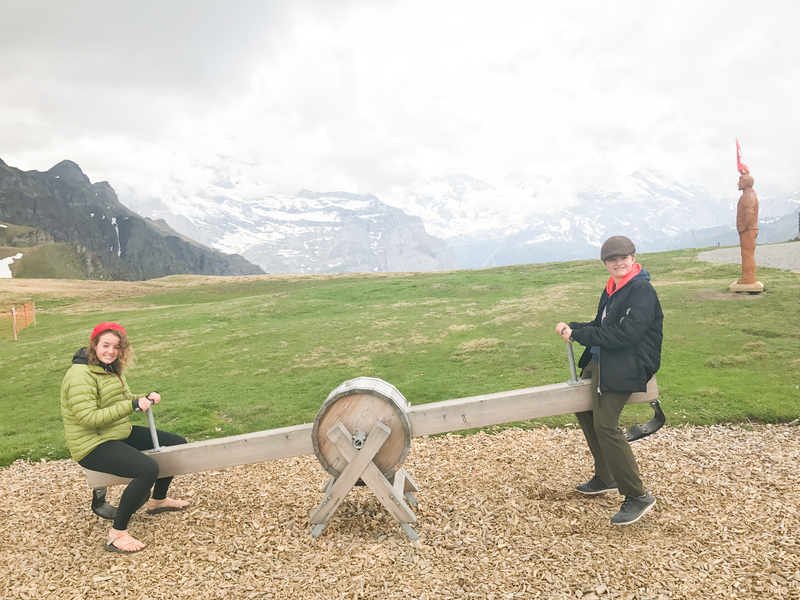 On our first trip to Europe, I was so concerned with seeing as much as possible that I wasn’t all that happy when my husband consented to my five year-old’s request to stop at the park for a few minutes. I quickly warmed up to the idea after discovering the joy that can be found there. We now stop for a few minutes at almost every park we see. My youngest gleefully says, “let’s try out this park!” at every opportunity. 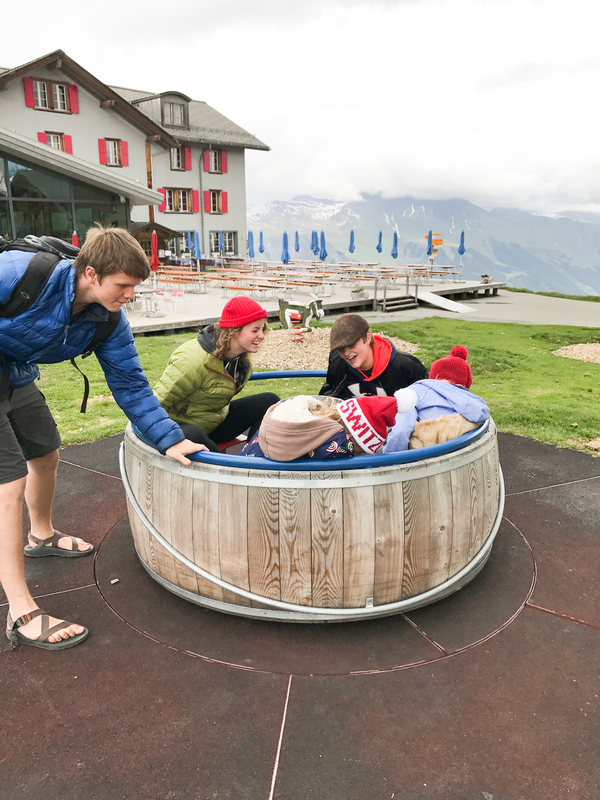 I have learned that slowing down and enjoying the wonderful playgrounds and parks of Europe have become some of my family’s favorite memories. 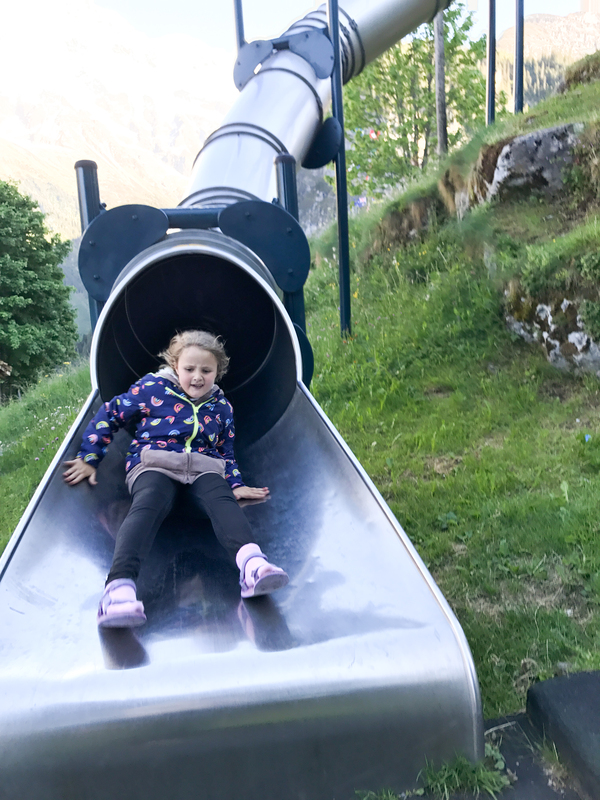 So, take a spin, slide down that slide, you might enjoy the playgrounds in Europe as much as we do! P.S. 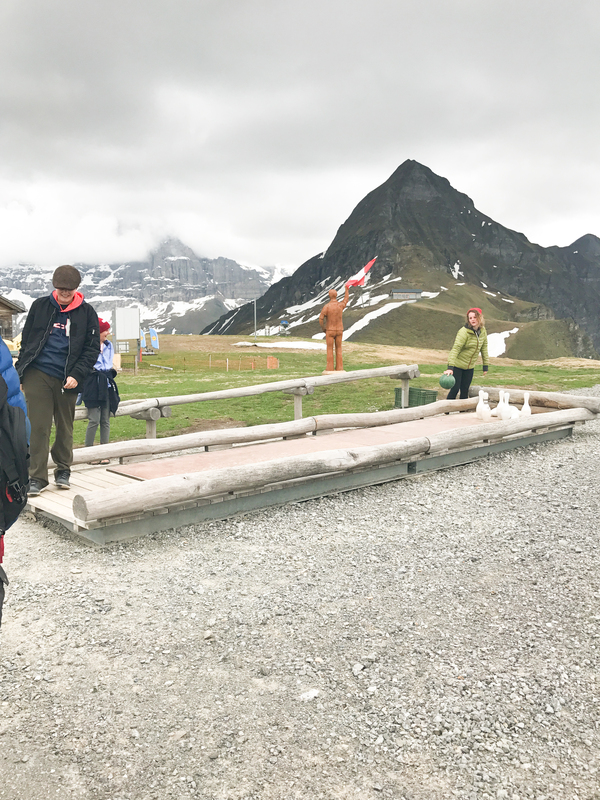 On the same thought, read about the best-kept secret about strangers when you’re traveling here!